So you’ve heard that this is the good stuff which your dogs would totally love? Or maybe you’ve heard that Bone Broth is packed with so much nutrients and yum? Okay, you’ve came to the right place! Some say that our beloved pet dogs are descendants from their wolf ancestors – thus they’re a 100% carnivorous and do not need vegetables in their diet. They also believe that meats alone are sufficient to provide a full range of nutrients that dogs need. Well, unfortunately, I’m one of those who believe otherwise. 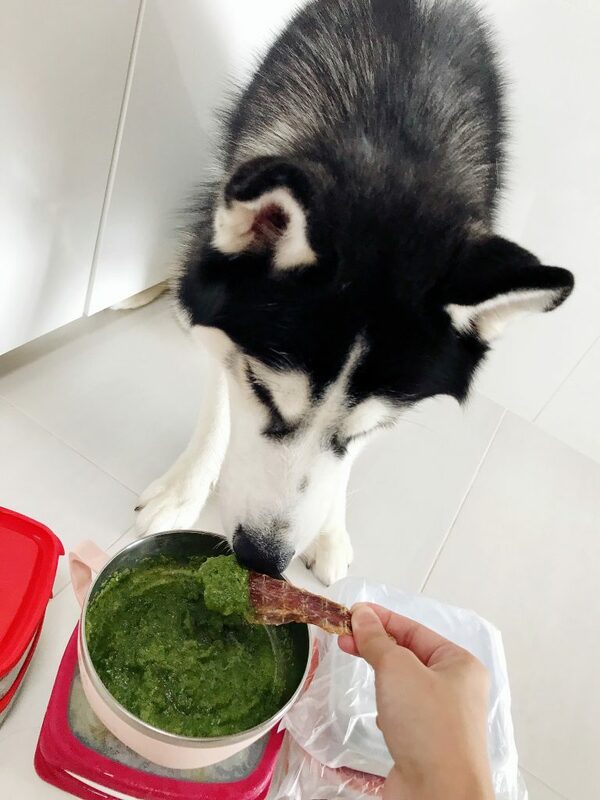 I think that a little bit of fiber and nutrients from greens do play a huge part in my furkids’ diets…. and I’m ready to put it to the test! Humans have nacho + salsa dips – but Lengzai has dehydrated duck + veggie dip! Later on, I realised from trial-and-error (honestly, just a lot of meal adjustments and monitoring smelly poo-outputs) that just proteins alone doesn’t provide the two boys with a balanced diet. Well, I’m not here to advocate the pros and cons of vegetables for dogs. For those who are interested, you can always Google for more information before you decide whether to give your dogs greens! 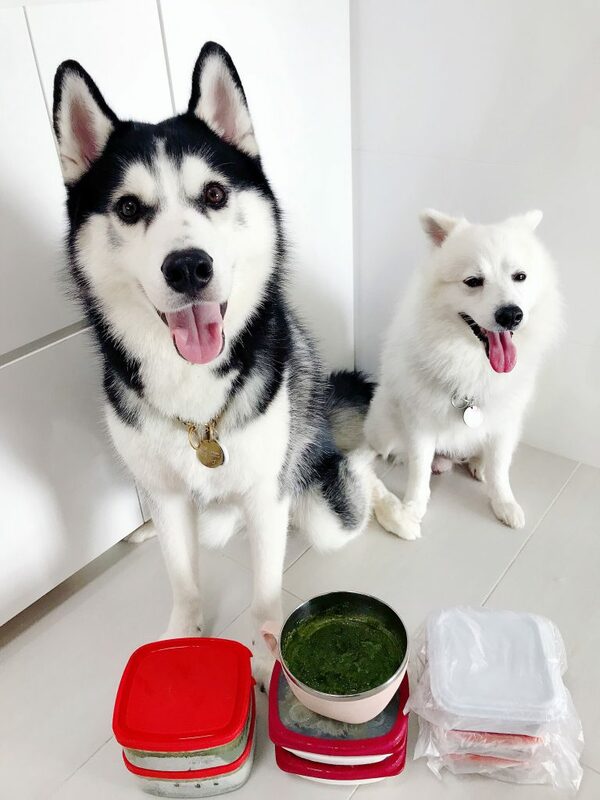 ..I’m here to show you how to make bone broth with veggie puree for your dogs! I often receive questions regarding Yandao‘s and Lengzai‘s raw diet whenever I post up photos of their yummy platters. But, first things first – I’m no expert i this as I’m still learning every day, just like you. 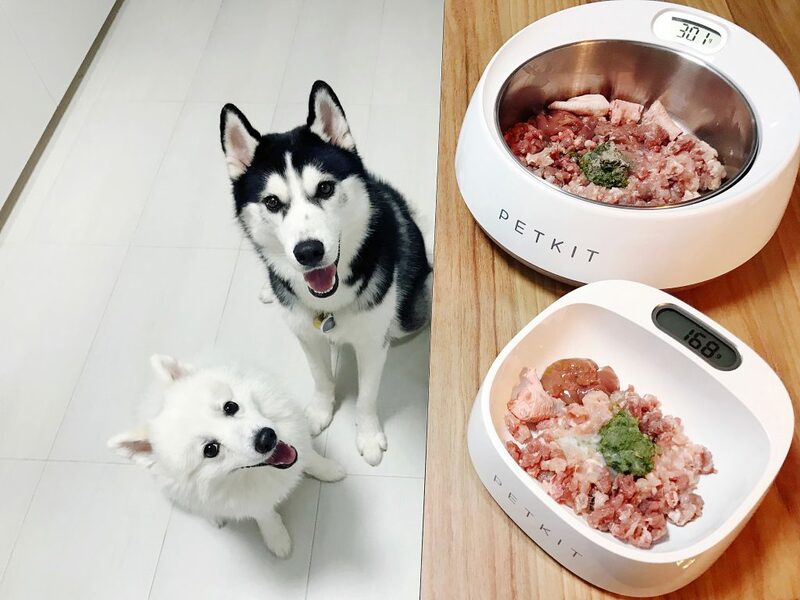 This post is not here to convince you nor educate you on the suitability of introducing raw-diet for your pets. Of course, different dogs have significantly different preferences and requirements for their meals. Also, there are plenty of much better articles out there to address the concerns of raw-feeding. Majority of the dogs I’ve come across fall in love raw diet from the very first introduction – but not all of them do. This post is pretty much just MY point of view and how I prepare raw ingredients for my two boys. Please, consult your vet or relevant canine dietary experts if you have any doubts! When you visit a Smart Home, the very first thing you’ll no doubt notice is the main door. Lo, and behold – a Smart Lock! The very first hint that this home might actually be smart in some ways. 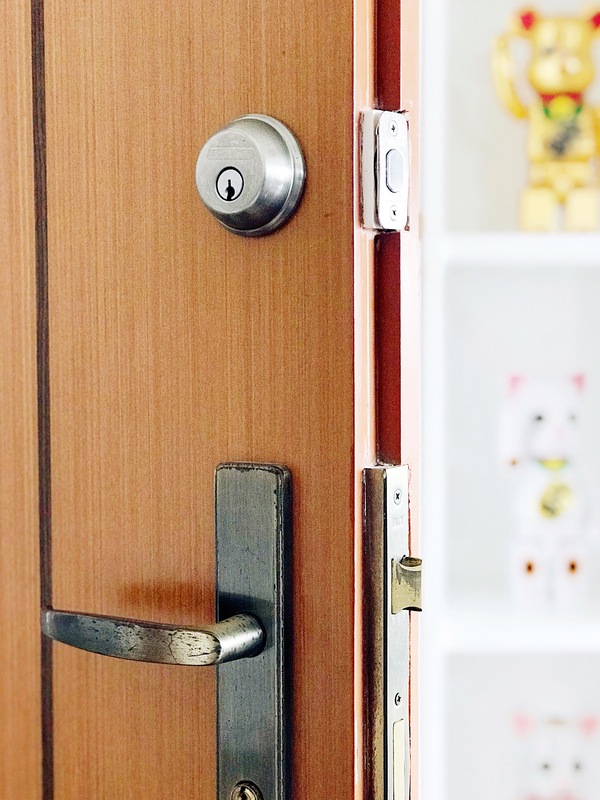 It’s 2018, and even if you have no intention of converting your home to a Smart Home, I’m sure you’ve ever thought of better way to unlock your home without a key. That familiar memory of the few times when you’re lugging loads of groceries and your keys are in the depths of your pockets suddenly kicks in. 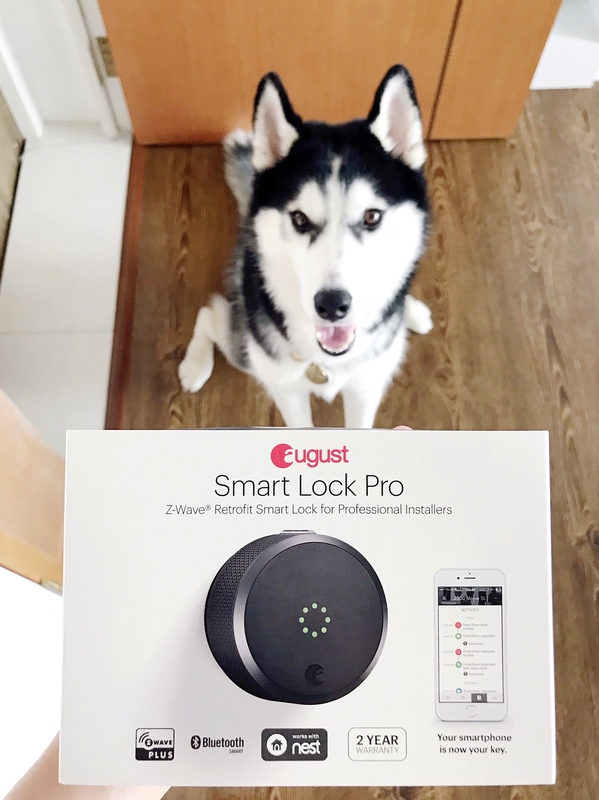 Here’s how my August Smart Lock installation looks like from the outside of the apartment. Wait, where exactly is the smart lock, again? Isn’t this just the standard HDB door which comes with Mortise lock? And there seems to be a deadbolt lock installed above it?